Until recently I used to wrap all XenMobile applications using an Apple provisioning profile which used a wildcard App ID. 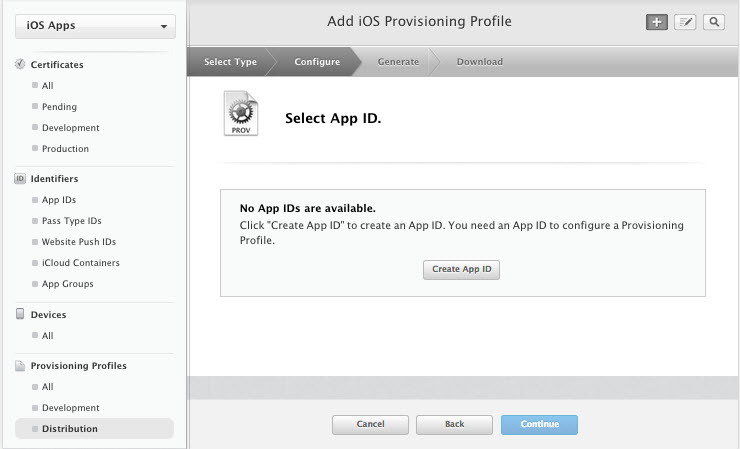 This way only a single provisioning profile was required for all my XenMobile applications. Lucky I have access to several other (older, previously created) Apple iOS Developer Enterprise accounts, in which I wasn’t able to reproduce my error. All the older accounts seemed to work fine. So what was different with this specific Apple iOS Developer Enterprise account ? I contacted Apple who in the end confirmed my issue as a change in there App ID policy. They are currently in the process of changing their policy regarding wildcard App IDs. As of the near future wildcard App IDs were no longer allowed. Apple is currently in the process of updating their documentation on this subject. Although a formal date isn’t announced publicly yet, my customers Apple Enterprise Developer account was already created with this new policy in place. While looking for additional information how this would affect my XenMobile Apps I noticed the “Wrapping iOS Mobile Apps” section in the eDocs was already updated. The wrapping procedure assumes you’ll be using a Explicit App ID. 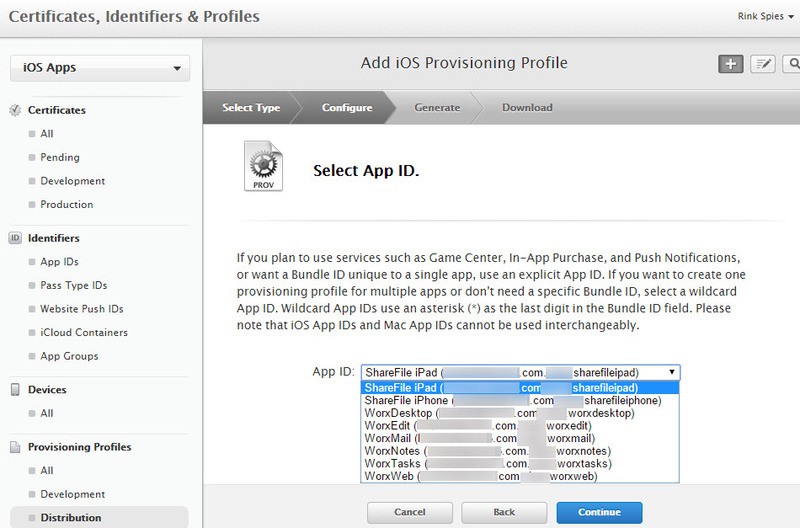 And indeed after creating several Explicit iOS App IDs I was able to create my iOS Distribution Profile!